The Presidential Administration of Ukraine has confirmed that President Petro Poroshenko signed a decree on stripping former Georgian president and ex-Governor of Odesa region, Mikheil Saakashvili, of Ukrainian citizenship, adding that in accordance with the legislation on personal data protection, the normative act is not subject to publication since it contains confidential information. "Upon the submission by the State Migration Service, which showed convincing facts of wrongful information been provided in [citizenship] application form, the Commission on Citizenship under the President of Ukraine has decided to support the move to deprive Mikheil Saakashvili of Ukrainian citizenship, and recommended that the president take the relevant decision," the presidential administration said. "Based on the recommendations, the head of state has signed the decree. According to the legislation on the protection of personal data, this normative act is not subject to publication, since it contains confidential information, personal data in particular," the statement said. Read alsoBuzzFeed: Stateless ex-Georgian president is headed to New York CityAs UNIAN reported earlier, the State Migration Service of Ukraine on July 26 reported that the Commission on Citizenship under the President of Ukraine had considered documents regarding the issue of stripping Mikheil Saakashvili of Ukrainian citizenship, and President Petro Poroshenko had the final say. The materials "concerning Mikheil Saakashvili, which had been obtained from the Georgian side, provided by the Prosecutor General's Office of Ukraine, and processed by the State Migration Service of Ukraine, were submitted to the Commission on Citizenship under the President of Ukraine and were duly examined at a Commission meeting," the State Migration Service said in a statement. "Under the Constitution of Ukraine, it is the President of Ukraine who shall decide on depriving Ukrainian citizenship in keeping with conclusions by the Citizenship Commission," the statement said. 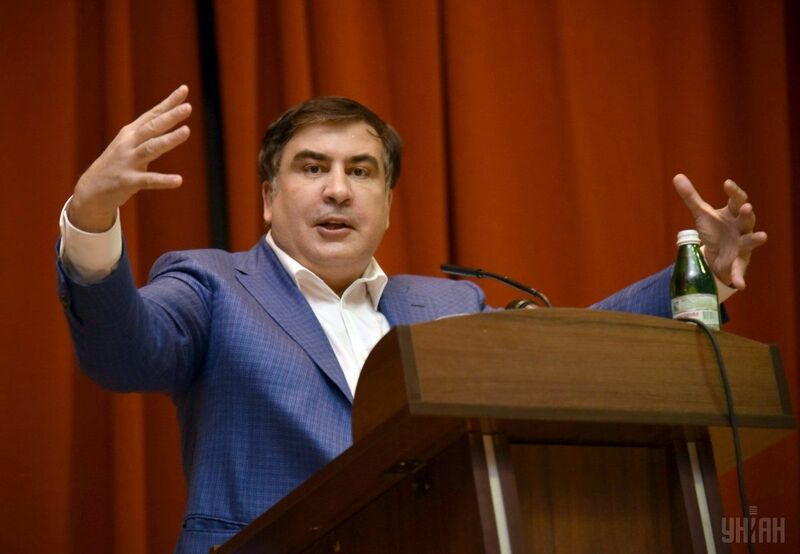 However, the statement does not directly mention that Saakashvili has been deprived of Ukrainian citizenship. Head of the State Migration Service's press center Serhiy Hunko did not give any additional information at UNIAN's request.